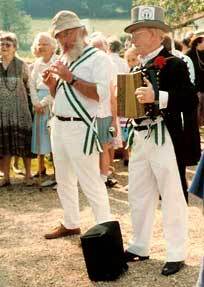 The earliest reference to the public performance of Morris dancing in England is from 1458, but the earliest reference to the public performance of Morris dancing in Uplyme is 8:30pm on June 1st, 1991. Unsubstantiated reports suggest that practise had taken place as early as March 1989, but there was little evidence in that first performance to contradict the theory that the moves had been thought up in the bar ten minutes earlier. 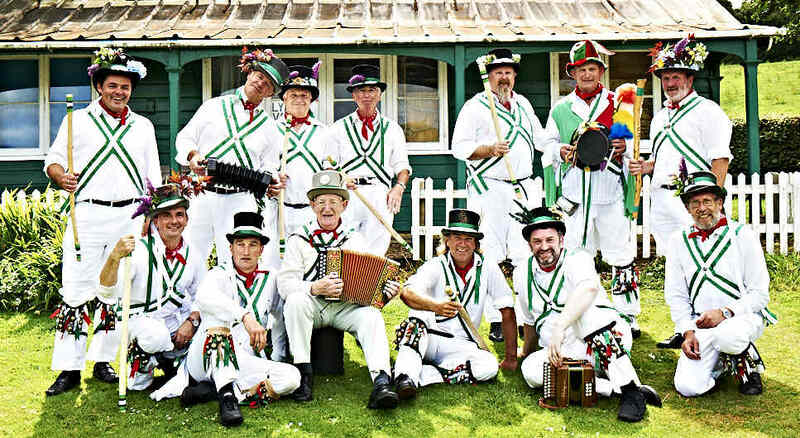 5 years later, having appeared in promotional videos and on national BBC Radio 4, the side had become a familiar sight throughout the counties of Devon, Dorset and Somerset, where it was in great demand for a myriad of events from weddings to village fetes. Profits from collections outside pubs went to the Lifeboat. In addition to the range of performances throughout the season, the side performed at dawn on Mayday at Lambert�s Castle, (always followed by a hearty breakfast provided by a member of the side) and at sun-up on the morning of the midwinter solstice at the Cobb in Lyme. Other social events included the very popular mid-summer barbecue and the infamous 'Uplyme Morris World Tour of Exmoor'. Mentioned in the 'Book of Uplyme', complete with two pictures, the side was always in great demand, but folded in 1996 due to a shortage of dancers. 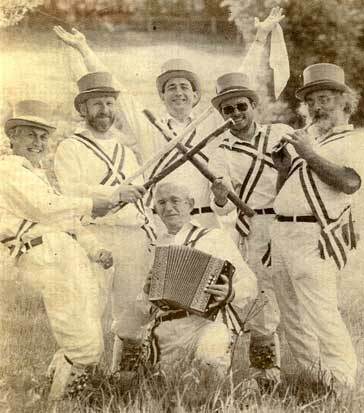 In 2007, the renowned folk accordianist and singer Jeremy Hayes recognised that there might be support for a revival as a men-only side and a meeting was held at the Talbot on 12.1.07 to discuss the possibilities. Following the meeting, a recruitment drive resulted in the revival of the side. After only a few weeks practise, they were booked as the finale for the Talbot Arms Beer Festival in July 2007. Anyone interested in joining the side as a dancer or musician should contact Jerry by email, or by phone 01297-446011 or mobile 07968-959298. 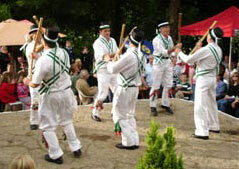 The Morris revival is the subject of a debate on the Uplyme Forums.